The Iowa Supreme Court is expected to release decisions in five cases Friday, which will bring to 82 the number of cases disposed of so far in the 2017-18 term. The Court heard its final round of oral arguments on April 10, and all cases have now been submitted. With the release of Friday’s decisions, 23 submitted cases will remain to be decided between now and the end of the term in one month. At that point, the Court will have disposed of 105 cases, including nine attorney-discipline cases, which is about normal for the Court, which typically decides about 105 cases each year. One of the five cases expected to be handed down Friday is Bandstra v. Covenant Reformed Church, on whether church elders failed to adequately supervise a male pastor accused of sexually exploiting female congregants, or whether the church is shielded by the religious-freedom clauses of the U.S. and Iowa constitutions. 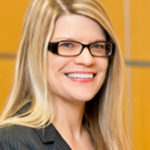 Honomichl v. Valley View Swine, on whether an Iowa statute that gives livestock operations limited immunity from nuisance liability violates the inalienable rights clause of the Iowa Constitution, and Planned Parenthood v. Kimberly Reynolds, on the constitutionality of Iowa’s statutory abortion restrictions. Iowa’s Supreme Court justices are often divided in juvenile sentencing cases, but they found common ground in a decision handed down April 20: The State can prosecute a juvenile as young as age 13. Noah Riley Crooks argued in an appeal to the Supreme Court that the State cannot legally or constitutionally prosecute a 13-year-old accused murderer in adult court. In its decision handed down April 20, however, the Court said Iowa’s youthful offender statute “unambiguously” allows prosecution of offenders as young as 13, and such prosecutions do not violate the Iowa Constitution. All seven justices agreed with that conclusion in the decision by Justice Thomas Waterman joined by Chief Justice Mark Cady and Justices Edward Mansfield and Bruce Zager. Justice Brent Appel filed a separate concurring opinion, joined by Justices Daryl Hecht and David Wiggins, dissenting on a separate issue of the trial court’s procedure for sentencing Crooks. Under the youthful-offender process, a juvenile is tried as an adult and, if convicted, remains under the jurisdiction of the juvenile system until reaching the age of 18. At that point the District Court conducts a sentencing hearing. The sentence may range from immediate release to a prison term. Crooks was found guilty by a Mitchell County jury of second-degree murder in the shooting death of his mother. He was 13 at the time of the crime, and he was waived by a juvenile court judge into adult court to be tried as a youthful offender. After he turned 18, following his commitment to the State Training School, Crooks was sentenced to up to 50 years in prison with immediate eligibility for parole. Crooks also argued that prosecuting youthful offenders as young as 13 is unconstitutional in two ways: First, the process of waiving a juvenile into adult court as a youthful offender is by itself cruel and unusual punishment; and, sentencing a juvenile in adult court for a crime committed at age 13 is categorically unconstitutional. 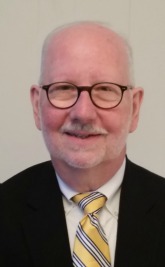 Waterman wrote that Iowa’s waiver provision for youthful offenders does not constitute punishment within the meaning of the Iowa Constitution, let alone “cruel and unusual” punishment. And Iowa’s youthful-offender process exceeds the constitutional requirements imposed by the U.S. Supreme Court and the Iowa Supreme Court with regard to sentencing juveniles. Iowa judges today read this clause as the equivalent of the Equal Protection Clause in the 14th Amendment to the federal Constitution. But that may not be what the authors of the Iowa Constitution had in mind when it was written, according to an article published in the Drake Law Review by Iowa Supreme Court Justice Edward Mansfield and Des Moines attorney Conner Wasson (Exploring the Original Meaning of Article I, Section 6 of the Iowa Constitution). In fact, as Mansfield and Wasson point out, Article I, Section 6 contains two provisions, one saying laws of a general nature shall have a uniform operation, and the other saying the Legislature may not grant privileges or immunities to a citizen or class of citizens. The two provisions were introduced at different times, and the authors suggest they may have meant different things: The “uniform operation” clause first appeared in the 1844 Constitution (which was not ratified) and the “privileges and immunities” clause was added in the 1857 Constitution that governs today. As evidence that Iowa Supreme Court in the 19th century did not see Article I, Section 6 as an equal-rights guarantee, the authors cite two landmark Iowa decisions on civil rights: Clark v. Board of Directors (1868), which struck down segregated public schools, and Coger v. Northwest Union Packet Company (1873), which held as unreasonable a whites-only steamboat dining room. Both decisions cited different provisions of the Iowa Constitution. 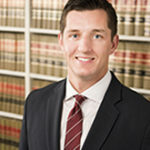 The Court’s thinking, according to Mansfield and Wasson, began to evolve late in the 19th century when parties began citing Article I, Section 6, along with the federal Equal Protection Clause in appeals to the Iowa Supreme Court. And, in 1906, the Court held that the same principles applied to both clauses. That view continues today. The Iowa Supreme Court ruled that a person who pleaded guilty to a crime has a right under the Iowa Constitution to later claim that he or she is, in fact, innocent based on newly discovered evidence. The Court, in a 4-3 ruling handed down March 23, overturned prior Iowa decisions that limited actual-innocence claims following a guilty plea to only those that attack the constitutional or procedural validity of the guilty plea. With this ruling, a defendant may assert actual innocence based on evidence unrelated to the validity of the plea itself. The decision in Schmidt v. State of Iowa written by Justice David Wiggins was joined by Chief Justice Mark Cady and Justices Daryl Hecht and Brent Appel. Jacob Schmidt pleaded guilty to assault with intent to commit sexual abuse, in part on the basis of the testimony of the victim, his younger half-brother. Seven years later, the half-brother recanted his testimony, saying Schmidt had not attempted to sexually abuse him. The Woodbury County District Court dismissed Schmidt’s post-conviction appeal, citing Iowa Supreme Court precedent. The Iowa Supreme Court’s decision in Schmidt’s appeal has been in the making for more than a year. It was first argued in February 2017 but held over to be reargued this term. Meanwhile, the Court asked the parties to submit additional briefs focusing on several questions, including what standard should apply if a guilty plea does not always bar an actual-innocence claim. But the Court pointed to recent evidence that innocent people do, in fact, plead guilty to crimes they did not commit, citing a National Registry of Exonerations report that, in 2016, 74 convicted criminals who had pleaded guilty were subsequently exonerated. To do that, the Court looked to the Iowa Constitution, which in Article 1 Section 9 says “no person shall be deprived of life, liberty, or property, without due process of law,” and in Article 1 Section 17 prohibits cruel and unusual punishments. “Holding a person who has committed no crime in prison strikes the very essence of the constitutional guarantee of substantive due process,” Wiggins wrote, and punishing a person who is actually innocent is cruel and unusual. A bill passed by the Iowa Senate (S.F. 2282) would block the Iowa Supreme Court from declaring a State statute unconstitutional if the decision is not supported by at least five justices of the seven-member Court. Although the bill failed to make it out of committee in the House by Friday’s deadline, legislative leaders could still bring it to the floor for consideration this session. A proponent of the bill, Sen. Julian Garrett, an Indianola Republican, says it is wrong that under the current majority requirement a state law approved by majorities of the House and Senate and signed by the governor can be overturned by four justices of the Iowa Supreme Court. The “supermajority” requirement, however, raises constitutional questions regarding the boundary between the legislative and judicial branches of government, according to two constitutional scholars. “It seems like a constitutional non-starter to me,” University of Iowa law professor Todd Pettys told On Brief last week. The U.S. Supreme Court would not honor a bill from Congress that required a supermajority, Pettys said, and the same separation-of-powers principles apply to state and federal courts. Mark Kende, director of the Constitutional Law Center and at Drake Law School and who holds the James Madison Chair in Constitutional Law, agreed: “I believe this is a dangerous step to undermine the role of the judiciary interpreting the Constitution,” Kende said. But Garrett said in an interview with On Brief he does not see the proposed legislation violating separation of powers. Article V Section 10 authorizes the Legislature to increase or reduce the overall number of justices, suggesting that lawmakers also may dictate the number of justices required to strike down state statutes. But Pettys argues there is a qualitative difference between legislators establishing the size and jurisdiction of an appellate court and dictating the court’s internal rules for how it makes decisions. Pettys likened the latter to legislators going into the chambers with the justices – where no one else is allowed – and saying, “We want you to have one more justice” in the majority or you can’t speak on this subject. “That’s just a pure naked power grab by the Legislature. It totally drains the judicial branch of government of its most important job, which is to decide what is structurally permissible” in writing state laws. Two states – Nebraska and North Dakota – currently require supermajorities to strike down state statutes, but both were done by constitutional amendment during the progressive era a century ago, not by statute. “We could do it either way,” Garrett said, but he pointed out that amending the Iowa Constitutional is a lengthy process. “The courts are not bashful about changing the Constitution, rather than allowing the people to do it through a constitutional amendment,” he said. What if a supermajority were already required in Iowa? Though it does not happen often, the Iowa Supreme Court has held state statutes unconstitutional with a one-vote majority. What would have been the outcome of some recent decisions had a supermajority requirement been on the books? Juvenile offenders could face longer prison sentences in Iowa. Perhaps the most persistent 4-3 split on the current Iowa Supreme Court involves juvenile criminal sentences the Iowa Court has handed down in the wake of U.S. Supreme Court decisions based on evidence that juvenile mental and emotional development is not the same as adults. The Iowa Supreme Court ruled 4-3 in 2014 State v. Lyle (2014) that, in the case of juveniles, one-size-fits-all mandatory minimum prison sentences prescribed by the Legislature violate the Iowa Constitution’s equivalent of the Eighth Amendment. The Court in Lyle said a juvenile could be sentenced to a minimum prison term before being eligible for parole, but there must be a finding by a trial court that weighs a number of mitigating factors, including the offender’s age, family and home life, the nature of the crime and his or her potential for reform. Additionally, undocumented immigrants living in Iowa could be prosecuted by the State for using forged documents to obtain employment. The Court, in State v. Martinez (2017), ruled 4-3 that such prosecutions by the State violate the Supremacy Clause of the U.S. Constitution because the State statute is pre-empted by federal immigration law. The size of the Iowa Supreme Court has changed a number of times over the past 180 years, beginning with three judges in the Territorial era and growing to nine before it was shrunk to seven by a 1998 statute at the same time the Iowa Court of Appeals was enlarged. Thus, State legislators could increase the size of the Supreme Court in an effort to dilute the votes of justices whose opinions they dislike. That is what President Franklin Roosevelt sought to do in the famous, though short-lived, “court packing” scheme in 1937, which was roundly criticized by both parties.